Having a recreational vehicle is something that the American population has been enjoying more and more. In the past year, there have been millions of Americans that go camping every year to enjoy the outdoor life, and that’s not including all of the people who like to go “primitive camping”. With a recreational vehicle, you’re able to bring some of home with you to make your stay more enjoyable and fun. Because of this, many people want to be able to still take a hot shower. While there are many different ways that you can take a hot shower, some people enjoy taking portable tankless water heaters which you can install into your RV. 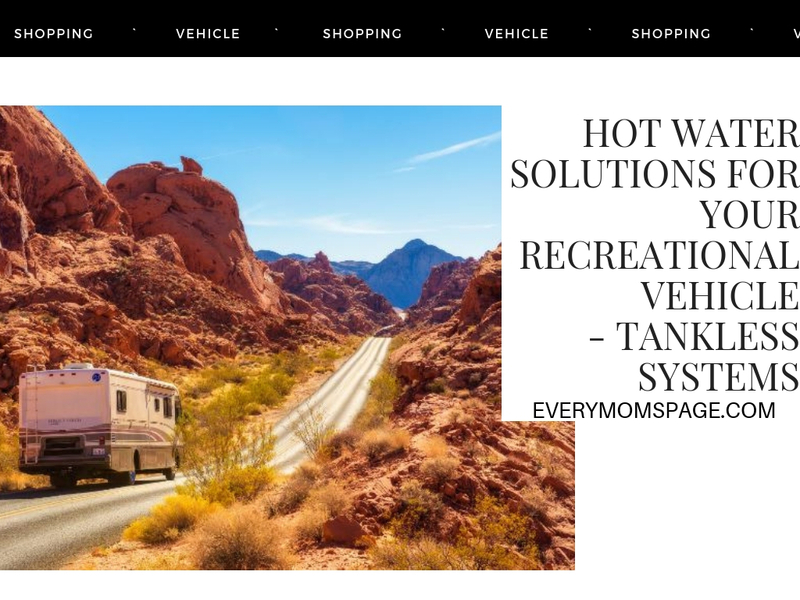 In this guide, we’ll get down to business and show you some of the best hot water solutions for your RV – tankless water heaters. We’ll also cover how they work a little bit. How Does a RV Tankless Water Heater Work? Tankless water heaters for your RV just like home water heaters work. They’re portable and install into your recreational vehicle. They install by attaching your RV’s propane line (there are some electric options out there, but they’re more expensive of course), and can provide hot water as soon as you turn on your faucet, as it triggers the thermostat which causes the water inside to heat up. They use up less propane than a standard 6-gallon tank water heater that you could install into your RV because they don’t constantly try to keep water at a certain temperature. You don’t have to worry about holding water or waiting for it to fill up, because it literally heats up as the water flows into your RV from the water line (if you have it parked where you can attach it to a water line; otherwise your regular water tank will flow straight through it for your hot water needs). Most tankless water heaters do in fact end up paying for themselves in how much you save in the long run because they are more “green”. This is because you are using more water in efficiency as it’s demanded. You can ensure that you’re saving, because just as tankless systems are beneficial at saving water and energy at your home, they do the same thing in your family’s Recreational Vehicle. You don’t have any energy loss when it comes to tankless water heaters. This includes both water, propane, and even electrical versions of them. With this, as mentioned everywhere, just because you install a tankless system doesn’t mean you’re not going to use up electricity if you are taking 30-minute or longer showers. Part of the saving process in the green movement does rely on you as an individual (or whoever is using the hot water). By using an RV unit, it’s important to see that you still need to conserve water as much as possible, but with a tankless system you don’t have to waste your other resources like you would with a tankless system.